Just isolating one area this morning and that is the Biotechs. We have warned of the froth with all the “no sales” IPOs. We think this group, at the very least, is getting in trouble. Many names have broken down…some badly. Many of the “no sales” names are already in trouble. Remember, if we ever go into a bear market again, those companies’ stocks, based on precedent, could pay a stiff price. We will keep you up to date but as of this second…beware! http://garykaltbaum.com/wp-content/uploads/2014/08/ipo-market.jpg 500 750 aaronmat-admin http://garykaltbaum.com/wp-content/uploads/2019/01/gary-k-logo7-01.png aaronmat-admin2015-02-04 06:43:482015-02-04 06:43:48Biotech trouble! Goal line stand digs in! First off, isn’t it thrilling to watch a President who claims we are practicing austerity while under his administration, another $7 trillion of debt has been created and now proposes a $4 trillion spending bill? Keep in mind, Clinton’s last budget was $1.8 trillion. Last I looked, we have not more than doubled the population to get to this point of $4 trillion. Almost speechless on this! We wrote to you yesterday about the markets needing a goal line stand as they dropped down to what we called important support. 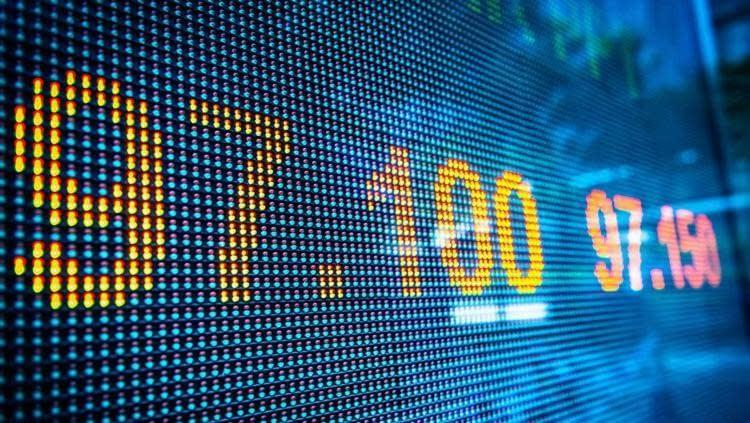 Yesterday was a great case in point about the market defending itself at these important junctures as the market opened poorly and finished with a flurry to the upside. We don’t rationalize why. We only care about what happened. Continue to use yesterdays lows as your important support levels. Markets are now simply back into a nauseating trading range. As far as our thoughts on oil and that last Friday’s action was a low for now, nothing has changed. Oil prices got a little more momentum yesterday leading into higher prices again this morning. Keep in mind, a rally was waaaaaay overdue and not sure yet we have seen a final low but one has to think $114 down to $44 could have been it. Lastly, please make note of some of the main European markets now leading up as the ECB printing machine ratchets up. Remember, markets have loved printed money since the lows. There will definitely come a day where that is not the case but that day does not look like it is here yet. http://garykaltbaum.com/wp-content/uploads/2015/02/clinton-obama.jpg 2401 4092 aaronmat-admin http://garykaltbaum.com/wp-content/uploads/2019/01/gary-k-logo7-01.png aaronmat-admin2015-02-03 05:53:122015-02-03 05:53:12Goal line stand digs in! You know our thoughts on central banks…that every time the bubbles they have created burst, they expand the next bubble with even more of the nonsense that created the first bubbles. This time though, we have never seen and cannot even fathom what lies ahead when central banks keep rates at 0% for 7 years and print trillions of dollars. And now we are just seeing others follow Mr. Bubble…thinking he is a hero. You know our thoughts on the economic numbers…that if not for the asset bubble created, the numbers would be much less…and you know our thoughts on the fake unemployment headline number as the people in power conjured up a crash in the participation rate to make things better than they are. You have known our thoughts on markets in that for many months, we have seen a 50-50 tape where half the market is bullish and half the market is bearish. You knew our thoughts into September when we told you the market was deteriorating enough to break down…but also noted the continued disclaimer that if Central Banks conjured up more funny money, the move could stave off the downside. We got that when in a coordinated effort, Japan and Europe both announced another trillion or two and China lowered rates even though China is doing so well. These moves stopped a deteriorating market to the second in mid-October. Lastly, you know we have been using the dreaded words “trading range” in recent weeks to describe the major indices. We hate the words “trading range” but we call em as we see em. The long list of sectors we have been bearish on has a couple of changes. We think there is a chance oil prices put in a near-term low on Friday…which means we should continue with a counter-trend rally in the underlying stocks. This is only near term in thought as oil prices have done nothing but persistently gone done for months. And to be clear, there is enough noise and geopolitical crap going on to try and game oil prices…so careful out there. It could just turn tail and head lower if it wanted to. 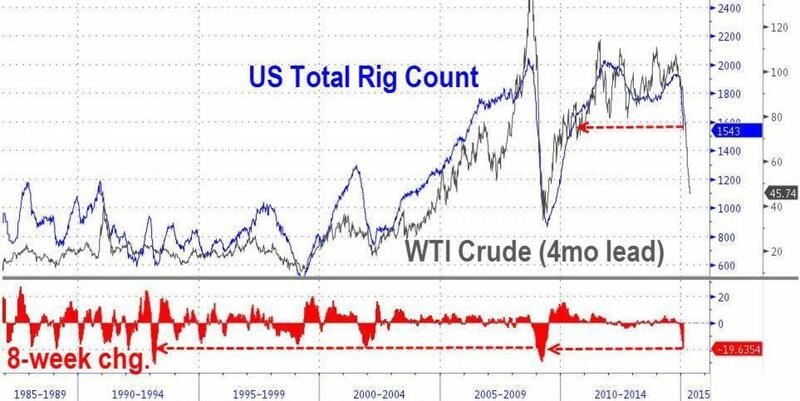 Oil is about as oversold we have seen in an asset in a very long time. Any potential move does not change the major trend. We think gold and the underlying gold stocks will continue to emerge…especially if the major indices break down as gold seems to be the anti-market play. Other areas that are now toppy, topping or recently topped are cruise lines,disk drives, hotels, medical products, semiconductors and hospitals. This is just in addition to our long list of yuck. And lastly, the big financials continue to act like the Knicks…though they have been playing better as of late. It is never a good thing when financials are acting poorly. http://garykaltbaum.com/wp-content/uploads/2015/01/dow1.jpg 699 1200 aaronmat-admin http://garykaltbaum.com/wp-content/uploads/2019/01/gary-k-logo7-01.png aaronmat-admin2015-02-01 13:16:552015-02-01 13:16:55Goal-line stand needed! A green beret answers the assclown Michael Moore and it is precious! 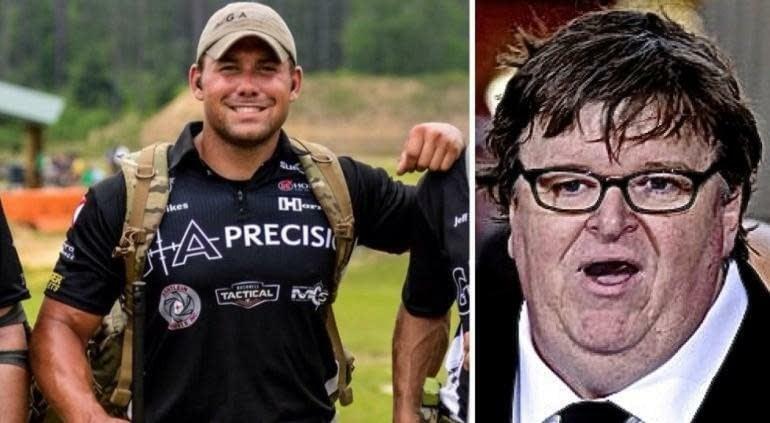 http://garykaltbaum.com/wp-content/uploads/2015/01/michael-moore-sniper.jpg 429 770 aaronmat-admin http://garykaltbaum.com/wp-content/uploads/2019/01/gary-k-logo7-01.png aaronmat-admin2015-01-30 11:45:112015-01-30 11:45:11A green beret answers the assclown Michael Moore and it is precious! Chart of the day…speaks for itself! http://garykaltbaum.com/wp-content/uploads/2015/01/20150130_rig.jpg 483 963 aaronmat-admin http://garykaltbaum.com/wp-content/uploads/2019/01/gary-k-logo7-01.png aaronmat-admin2015-01-30 10:41:442015-01-30 10:41:44Chart of the day...speaks for itself! We purposely put out support levels yesterday. Simply put, they either hold and give markets a chance or they give way and all heck potentially breaks loose. Why would all heck break loose? This occurs when the big money recognizes an area that was holding…no longer is…which invites more selling. But major indices held on Thursday but remain rangebound. We hate the word rangebound. We are not even sure if it is a word but we use it anyhow. Rangebound action simply holds in the downside but caps the upside. For obvious reasons, this makes trading tougher as you have neither wind at your back or wind in your face. But lots of jello moving on the plate as earning’s season has handed us a bunch of good reactions in the form of gapping up or breaking out on volume. Names that have shown this action include AMZN,BIIB,BA,EA,FSL,HAR, NFLX,NOW,SYNA,SBUX and others. Just because something breaks out or gaps up on earnings does not mean it will work. Names like those mentioned should be reviewed as it is usually good news when surprises occur on the upside and stock price moves in the fashion mentioned. We will have our usual big weekend report along with our thoughts on the Super Bowl and our pick. We have only lost one Super Bowl since 2000 but must say, this game is quite tough to handicap. http://garykaltbaum.com/wp-content/uploads/2014/08/stock-market-today-results.jpg 800 1200 aaronmat-admin http://garykaltbaum.com/wp-content/uploads/2019/01/gary-k-logo7-01.png aaronmat-admin2015-01-30 05:41:312015-01-30 05:41:31For Thursday, support holds! http://garykaltbaum.com/wp-content/uploads/2015/01/Aaron-Rodgers.jpg 618 1200 aaronmat-admin http://garykaltbaum.com/wp-content/uploads/2019/01/gary-k-logo7-01.png aaronmat-admin2015-01-29 05:32:532015-01-29 05:32:53We dig Aaron Rodgers! First off, it is just too funny reading news reports on the Fed. We do not believe they are going to raise rates but if they did, what kind of a big deal would it be to go from 0% to 1/4%? Just to repeat a report from a couple weeks ago…WATCH THE FINANCIALS. They are leading down and now major indices need to be watched as they have come under some serious distribution while they remain in what we call a nauseating trading range…but now, nearing the lower end of range. So with so many areas of the market bearish and with the areas still in shape coming under pressure, here are your support levels to watch. Simply put, if they are not taken out…good…if they are…we suspect decent technical selling will show up. And unlike October when a good correction was staved off by coordinated money printing by Japan and Europe along with lowered rates in China, who is left? S&P 1988 and then 1972. NASDAQ 4563 and then 4547. For a change, the Russell holding up better but thinking it is just some of the January effect. Support at 1150 and then 1134.
http://garykaltbaum.com/wp-content/uploads/2014/08/ipo-market.jpg 500 750 aaronmat-admin http://garykaltbaum.com/wp-content/uploads/2019/01/gary-k-logo7-01.png aaronmat-admin2015-01-29 05:29:362015-01-29 05:29:36Time for support levels! The Fed now says they can be patient on rates. Really. No kidding! As we have told you, unless the market forces their hand, the Fed will never raise rates. And it is our opinion that on any blip in markets or the economy, QE4 will be right around the corner. Eventually this teasing of the markets will fall on deaf ears as the “boy who cried wolf” may come into play. Sorry Aunt Mary and Uncle Bob with those savings. As we write this, the Dow has a nice 270 gap to the downside. Amazingly, 6 Dow stocks are gapping down on yuck numbers. They are MSFT,CAT,MMM,PG,DD,UTX. As you know, reactions to earnings are quite important to our work. This open will take markets well, back where they have been…in the middle of a nauseating trading range. We will leave it at that for this second as we will need to see more cards come out of the deck. This past weekend, I stated on Fox News’ Bulls and Bears that the economy is not as good as the economic numbers portrayed. Must say, caught a little bit of @#%#@ from some who said it was just me being political. Well…have you seen the supposed fabulous retail sales from December? And this morning, did you see the durable goods number as well as last month’s revised numbers? The supposed “good news” out of this leads to our other stance…and that is the Fed will never raise rates and more than likely, their next move would be some sort of QE4. Simply put, central banks are now in the web and addicted to the creation of funny money in order to supposedly prop things up. They have done a wonderful job propping up asset prices while destroying savers. We do not think much else. In fact, we believe they have interfered too much in economies as they refuse to let things be. Eventually a price has to be paid. We do not know when eventually is. As far as Greece, Venezuela and other countries heading into the abyss…GOVERNMENT-CENTRIC SOCIALISM HAS ALWAYS ENDED BAD! We keep hearing about Greece’s supposed austerity over the past few years. That’s another lie. Government spending is higher than it was in 2008…so don’t believe the snowjobs…no pun intended. http://garykaltbaum.com/wp-content/uploads/2015/01/dow1.jpg 699 1200 aaronmat-admin http://garykaltbaum.com/wp-content/uploads/2019/01/gary-k-logo7-01.png aaronmat-admin2015-01-27 06:04:132015-01-27 06:04:13Nice open! Bazinga!